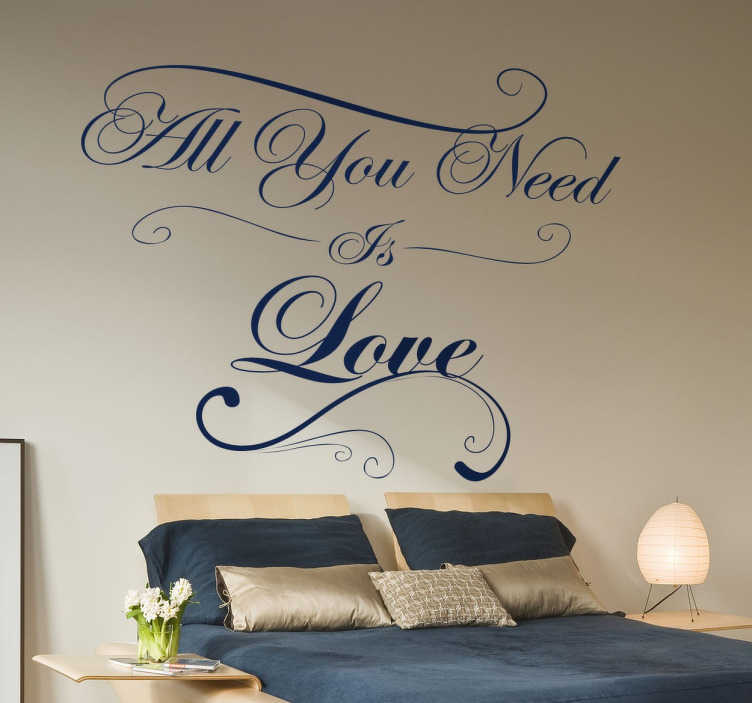 This wall sticker that says 'All You Need Is Love' is a fun and original decoration for the walls of your home. The elegant shapes of letters will create a modern atmosphere. This vinyl decal is based on the famous song by The Beatles. This text sticker of The Beatles song is available in several sizes and colours.